B: remained more or less the same. Correct answer is C. The share of people living on less than $1.9/day fell from 34 percent in 1993 to 10.7 percent in 2013, according to World Bank. Despite the impression of precision given by the precise threshold of $1.9/day and the use of decimals, the uncertainties in these numbers are very large. 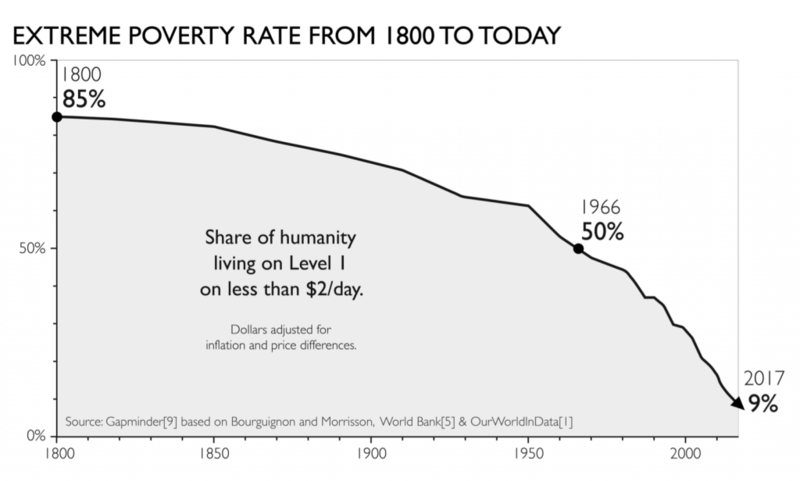 Extreme poverty is very difficult to measure: the poorest people are mostly subsistence farmers or destitute slum dwellers, with unpredictable and constantly changing living conditions and few documented monetary transactions. But even if the exact levels are uncertain, the trend direction is not uncertain, because the sources of error are probably constant over time. We can trust that the level has fallen to at least half, if not one-third. 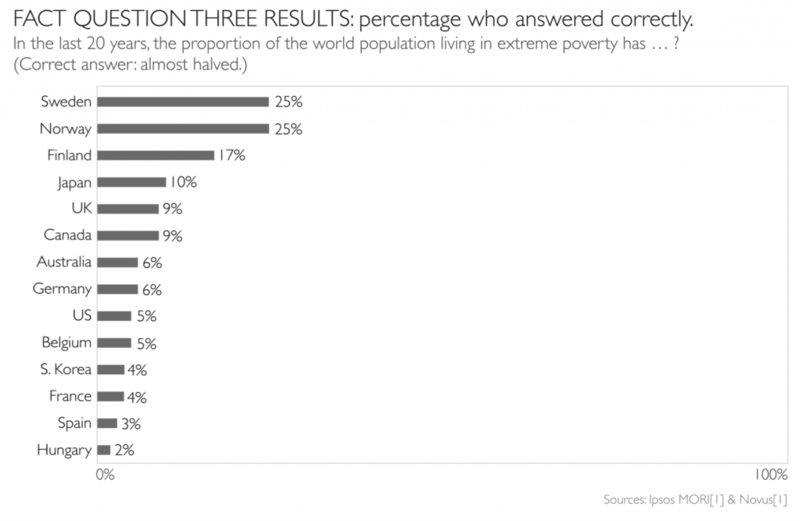 The question comes from Gapminder Test 2017, that 12 000 people in 14 countries took. Read more about the test here. See the results from audiences at our lectures here. Take the test – available in several languages – here.